In order to best serve homeowners in Colorado, the water damage Briargate pros at 911 Restoration of Colorado Springs stays available 24/7/365, because we never want to make you wait long for help when you are in a moment of crisis. It is important to mitigate water disasters quickly, which is why we guarantee an arrive time of within 45 minutes no matter what time you need assistance. We are IICRC certified to use high tech equipment, such as sump pumps, wet vacs, dehumidifiers and air movers to get your home dry and clean quickly. Call us today and our water damage Briargate unit will provide you with a free home inspection as soon as we arrive on the scene. 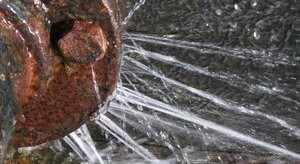 Water can damage your home in many different ways, as well as get inside the premises by various points of entry. Harsh weather can cause rainwater to seep in through cracks in the roof, affected your ceiling, attic, walls and crawlspace. If your gutters are clogged with debris then the water can get jammed up and overflow into the roof, causing the interior drywall to get soaked. Interior problems can also lead to home flooding, such as pipe bursts, plumbing malfunctions, ruptured appliance hoses and leaky ice machines. If the moisture isn’t extracted from the property immediately it can lead to a whole host of ling term issues, such as structural damage, rot, rust and mold growth. Call our water damage Briargate professionals the moment you discover an abundance of moisture in your household and we will get you a fresh start today! 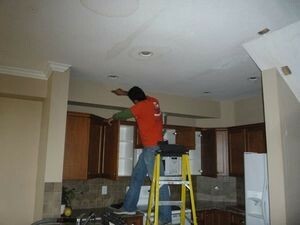 Our water damage Briargate operation put the homeowner’s well-being at the top of their list. Providing you with optimal customer service is as important to us as it us to you, because keeping calm during this entire process benefits everyone. In order to help you the best that we can, we make sure to stay as accessible as possible. By keeping our phone lines open around the clock you can confidently get in touch with a service representative the moment you feel the need to contact us. This way you can ask our Briargate floodwater cleanup techs any questions you may have about the renovations and we can immediately put any concerns to rest. We can also help you with your insurance policy, even filing the claim for you, if need be. With so many years of experience in the industry we know exactly what insurance companies need to get you the best coverage. 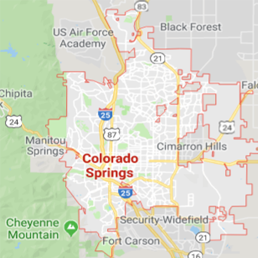 So, call us today and our water damage Briargate experts at 911 Restoration of Colorado Springs and we will get you affordable and efficient flood repair services right away!